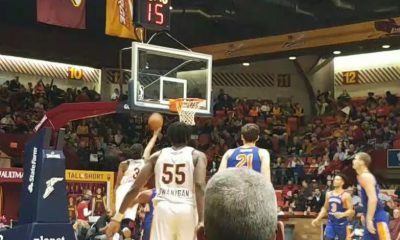 CANTON, OHIO – It’s not often that a G-League team looks like it’s NBA counterpart, but tonight the Canton Charge (6-7) looked like their big brothers in Cleveland. Just as the Cavs do so often, Canton knocked down 16 three’s on their way to a 113-102 victory Tuesday night. The win was Canton’s third in a row, and second in a row at home. 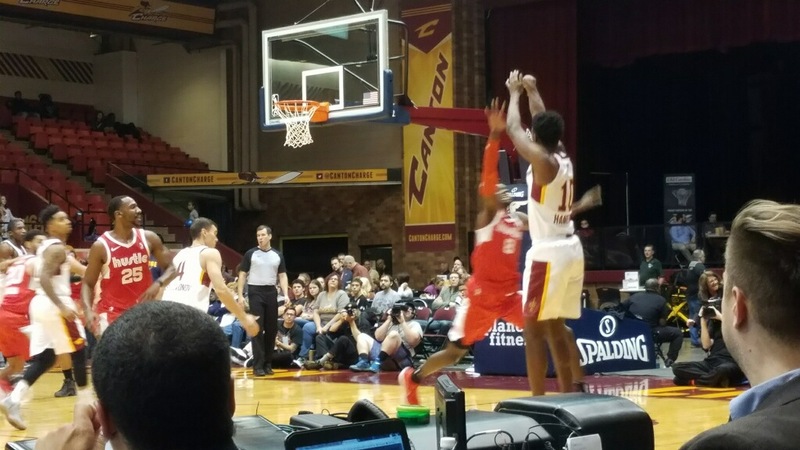 On a night where the Charge lost leading scorer John Holland in the first quarter, Canton Coach Nate Reinking had to adjust his rotation on the fly. He seemed to be pressing all the right buttons tonight as four guys off the bench scored in double figures.Not only did four guys score double digits but they scored 70 of Canton’s 110 points. Their previous season high was 45 points. Coach Reinking was clearly very pleased with the contributions off the bench, “Bench was fantastic. Everyone that came in produced.” The man leading the way for Canton’s “bench mob” scoring was former Minnesota guard Akeem Springs who not only scored his season high but also led all Canton scorers with 18 points. Isaac Hamilton was a perfect 3-3 from downtown on his way to a big 13 points. You can really tell the make up of a team when they face unexpected adversity, and tonight it was obvious Canton was a close knit group. 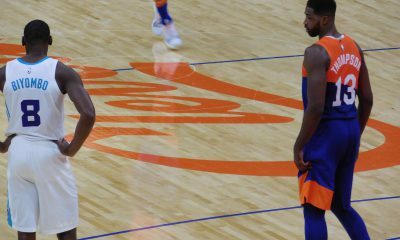 He was a huge part of the Charge getting off to such a good start as he scored 8 of his 16 points in the first quarter. 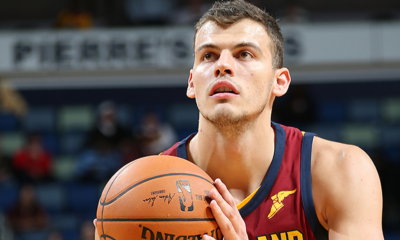 Cleveland Cavaliers center Ante Zizic was sent down to Canton and made sure to leave his mark finishing with 16 points on 5 of 6 shooting, also a perfect 6-6 from the charity stripe. Zizic is still adjusting to the physicality of American basketball as he only had two rebounds despite his 6-11 frame. He has plenty of potential to work with, as he seemed to be aggressive on the offensive end. One man who was extremely excited to see a little fight out of Zizic was NBA veteran Kendrick Perkins, as Perk stood up and applauded the young fella multiple times after he muscled his way through post moves. Canton has started to move the ball around at a much higher rate (26 team assists) and that is a huge reason for the 3 game winning streak. Thornton couldn’t help but smile when asked about the ball movement “creating better trust seems to be carrying over to the game. We seem to move the ball for better shots. And we’re winning so that helps. The table center for Canton was once again Cavaliers two-way player London Perrantes, who fell just one assist short of a double- double (12PTS, 9AST). Cantons is home again Friday night when the Windy City Bulls travel into town for a 7 o’clock tip. 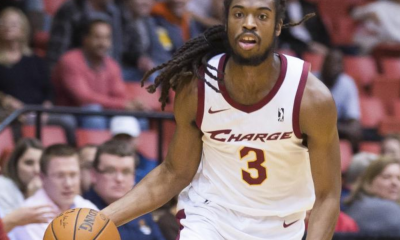 After Friday nights game the Charge head to Texas for the weekend as they play both the Austin Spurs and Rio Grande Valley.